Rabbi Bob Alper is a Reform rabbi. He is also a comedian who manages to enthrall audiences with clean jokes in nightclubs, synagogues, community centers and at private parties. Alper has released a DVD of his performances than runs 102 minutes, and includes a live performance, an interview, and 33 of his best jokes. 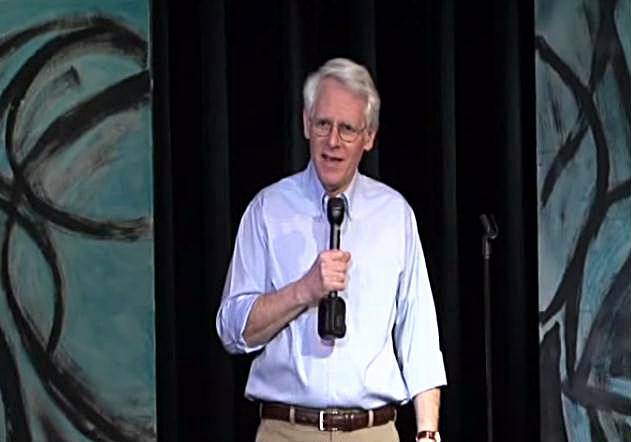 He bills himself as the only practicing clergyman doing standup comedy...intentionally. Alper, 71, started doing stand-up comedy in 1986 in Philadelphia. He's been at it ever since, doing about 60 shows a year across the USA. He served congregations for 14 years, but now only officiates at High Holy Day services in Philadelphia. Here is a sample of one of his routines about his days at the seminary where he was ordained, the Hebrew Union College-Jewish Institute of Religion in Cincinnati. He's not the only Rabbi doing stand-up comedy. Rabbi Klimnick from Rochester, NY has also been doing this for quite a number of years. And in the Hasidic community there are a number of "badchanim" who are ordained (and observant).